Description: It's pretty hard to miss seeing a bald eagle flying through the sky. Even at a distance, its size and white head and tail are readily identified. Immature eagles are dark brown, gradually showing white on their head and tail each year until they reach adult plumage at 5 years. Eagles may reach 1m (3.3ft) in length, have a wingspan of 2-2.5 m (6.6-8.5ft) and weigh 3-5.5 kg (6.6-12 lbs). 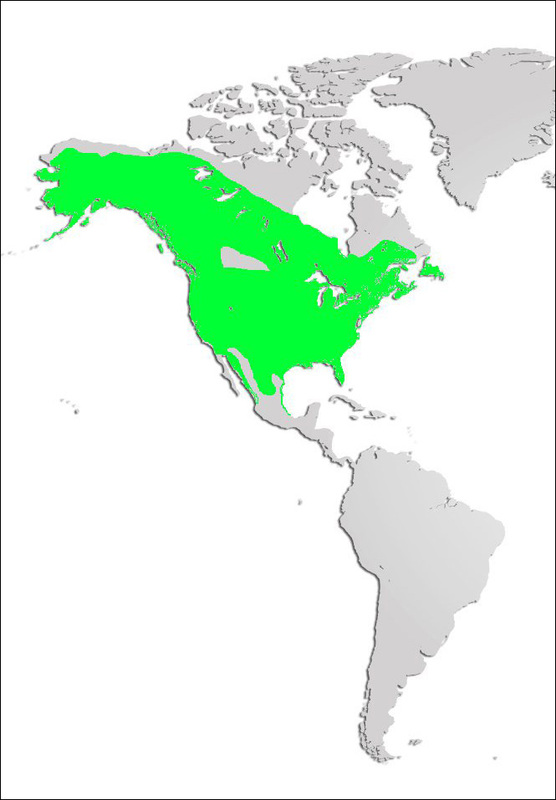 Distribution and Habitat: Bald eagle nests are massive structures. Eagles use the same nest year after year. Their nests are usually near the top of tall trees overlooking large rivers, lakes or coastal areas. Uncommon in many parts of North America, this bird of prey can be found throughout Nova Scotia, particularly around the larger lakes in Cape Breton. Diet: Carnivores, fish is the main food in an eagle's diet. They will also eat the carrion of almost any dead animal. Life Cycle: Nesting starts in late March, with 1-3 eggs laid in April. Both parents bring food to the nest, but the female usually feeds it to the young. Bald eagles usually migrate south; those living in Cape Breton during the summer may move to mainland Nova Scotia and those birds living around Shubenacadie could move to the Yarmouth area. Did you know? To re-establish the bald eagle to the eastern seaboard of the United States, young eagles from Nova Scotia have been relocated to New Jersey and Massachusetts. 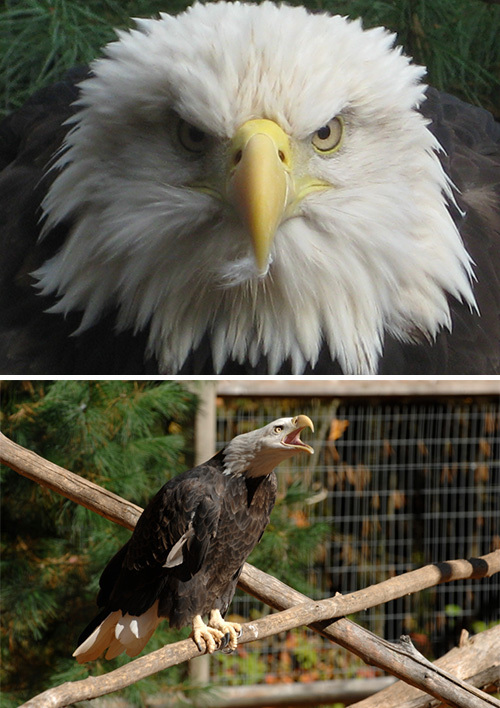 Eagles and other birds of prey in the Shubenacadie Provincial Wildlife Park have been injured and cannot be returned to their natural habitat.